You don’t have to wait for the first signs of spring—or shovel a load of snow from your patio—to enjoy an alfresco meal in your home’s outdoor space. If you’re lucky enough to have an outdoor space for entertaining, your patio probably gets a lot of use in the summer and early autumn, but that’s only half the year. 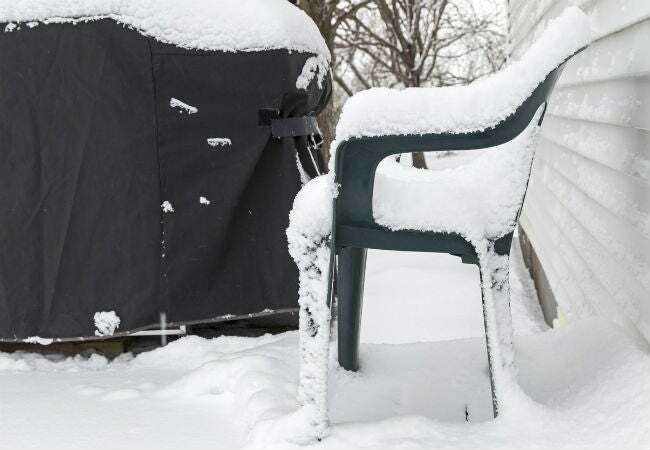 Once the mercury drops and the snowflakes begin to fly, most homeowners quickly cover their outdoor furniture and roll their grills into storage sheds. 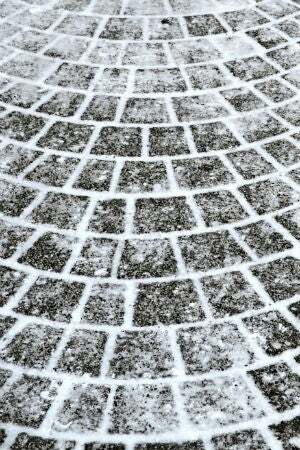 Indeed, one of the more frustrating aspects of having a patio is dealing with it during those long winter months of disuse, when keeping it clear of snow and ice is often more trouble than it’s worth. Wouldn’t it be great if you could use your patio all winter long without having to shovel off loads of snow or worry about slipping on its icy surface? Well, you absolutely can! With some strategic planning and a little help from radiant heating, you’ll be able to barbecue outdoors no matter how much snow you got last night, without ever having to lift a shovel. If you have a favorite restaurant with an alfresco dining area that seems to remain snow-free all year long, it’s most likely benefiting from a radiant heating system beneath the concrete surface. Restaurants with open-air dining were among the first to install radiant-heating systems in their outdoor areas. The heating system melts snow as it lands and keeps ice from forming. Just as important, the warmth of the patio surface radiates through the tables and chairs so diners can comfortably eat outdoors on sunny winter afternoons. 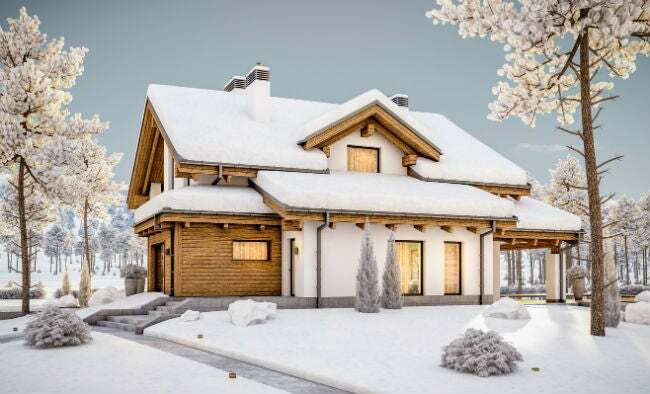 Homeowners, too, can put this thermal-boosting technology to work for them in winter months, transforming their outdoor living spaces into serene winter retreats. And it’s not just for patios: Underfoot radiant technology can be used to keep walkways, steps, and even driveways snow- and ice-free all winter long. “Regardless of how much you shovel, if you live in a place where it snows a lot, there’s almost always a buildup of packed-down snow and ice on your driveway,” O’Brian says. “Radiant systems will melt that away right when it lands, keeping your walk into the house nice and safe.” Anyone who has ever delayed removing fresh snow knows this truth: Once someone walks on or drives over it, the snow packs down and the freeze-thaw cycles that follow turn this snowpack into a dangerous ice slick. That’s where outdoor radiant heat comes in. • You’ll be able to retire your snow shovel for good! You won’t need it anymore (and your back muscles will thank you). • You’ll never again need to use rock salt or ice-melt chemicals that damage paved surfaces, plants, and automobile paint, and pose health risks to your pets. • You’ll never have to call a snow-removal service again. • You’ll gain the peace of mind of knowing that your walkways will always be free of slippery ice, which is particularly important for those with elderly or disabled family members. In fact, concrete wheelchair ramps are prime candidates for radiant heat. • You’ll spend less time mopping up melted snow indoors or scrubbing floors to remove salt stains, since everyone entering the home will have drier shoes. • Paved surfaces around the house will last longer because the radiant heat will reduce temperature fluctuations within the paving material. This means that outdoor amenities like backyard patios might actually require less maintenance to look like new—and their good looks could even be a selling point when it comes time to put the house on the market. SupplyHouse.com offers two basic types of outdoor radiant heating components, hydronic (in which a hot-water solution flows through tubing) and electric, and each offers certain benefits. Choosing the appropriate system for your needs will largely depend on whether you’re willing to pay more up front, or you’d prefer to have a smaller initial outlay with the possibility of higher operating costs down the road. Electric radiant systems are especially versatile. Electric components—such as Danfoss GX Snow Melting Mats and Danfoss GX Snow Melting Cables (both available from SupplyHouse.com)—can be configured to fit under virtually any size patio, driveway, or walkway. Depending on the paving surface the system will warm, the electrical heating components can be installed on a base layer of sand with the paving materials (like bricks, stones, or pavers) positioned on top, or they can be embedded in wet concrete just below the surface at the same time that the concrete is poured. Electrical mats and cables are insulated and designed to resist corrosion, and when correctly installed, they’ll offer years of snow-melt reliability. Hydronic radiant systems can be more expensive to install than electric systems, but they’re cheaper to operate in the long run where electricity prices are high. These systems utilize PEX tubing, such as Uponor’s ½-inch hePEX tubing, which can be purchased in various lengths to fit the scope of your project. The tubing is typically embedded in concrete slabs and connected to a boiler, then pumped with a hot-water solution containing propylene glycol antifreeze to warm the paved surface. Hydronic systems can be set up to run on alternative power sources, such as solar panels, heat pumps, and geothermal setups. Currently, hydronic outdoor heating is found most often in commercial settings, such as NFL football fields and natural grass stadiums, where the consistent, gentle heat protects the turf and allows the grass to grow year-round. That said, it’s just as effective in residential applications. For instance, hydronic radiant heating is great for keeping backyard greenhouses warm enough to overwinter tender container plants while maintaining a fresh supply of edible greens and vegetables all year long. Both hydronic and electric snow-melting radiant systems can be controlled by either a manual on-off switch or the installation of a sensor-detection system. Cost-friendly sensor controls, such as Uponor’s Single-Zone Snow Melt Control, are good choices for homeowners who want sensor control on a single radiant-heated surface—for example, just the patio. A more comprehensive control system, such as Viega’s Advanced Snow Melt Control, features air, moisture, and slab temperature sensors that make it easy to individually control multiple radiant-heating zones—say, your patio, driveway, and front walk. When selecting the components your system needs, keep in mind that it’s best to work with one manufacturer rather than trying to pair a thermostat from one company with cable from another; SupplyHouse.com‘s extensive selection will help make this possible. Whichever way you lean, the system can be installed by a contractor of your choice. Do-it-yourselfers who are familiar with wiring, plumbing, and paving might be able to install their own systems, but because of the complexity, it’s usually better to let a professional handle the project. “Installation can be a very labor-intensive and time-consuming job, and at the end of the day, the pros are going to do a better job regardless,” O’Brian says. The best time to install a radiant-heating system is when you install that new patio or sidewalk, but retrofitting is possible in some situations. Choosing to retrofit, however, will often void the manufacturer’s warranty, so it should be reserved for situations where a new installation isn’t feasible. Have you been suffering from cabin fever this winter? Consider adding this project to the top of your to-do list come spring, and you’ll be able to enjoy an extended patio season almost immediately. No matter your outdoor heating needs, SupplyHouse.com has the radiant heating components to warm your paved surfaces and keep them free from snow and ice until balmier weather returns. Visit the website or call 1-888-757-4774 to speak with customer service today!